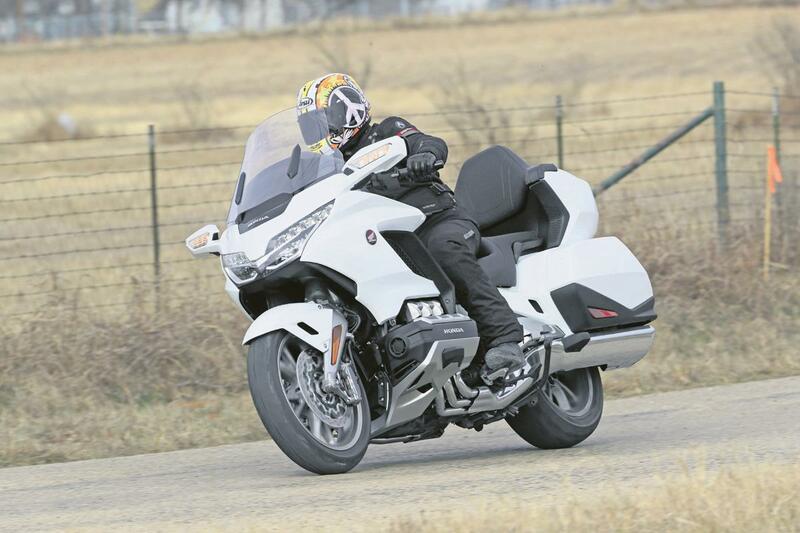 Usually, the new model is a 10% improvement or less, but the new Gold Wing is light years ahead of the old model, with significantly improved handling, ease-of-use, and fun. The level of comfort, specification and smoothness is class-leading. The only down side is the price, close to £30,000, which is considerably more than the competition. 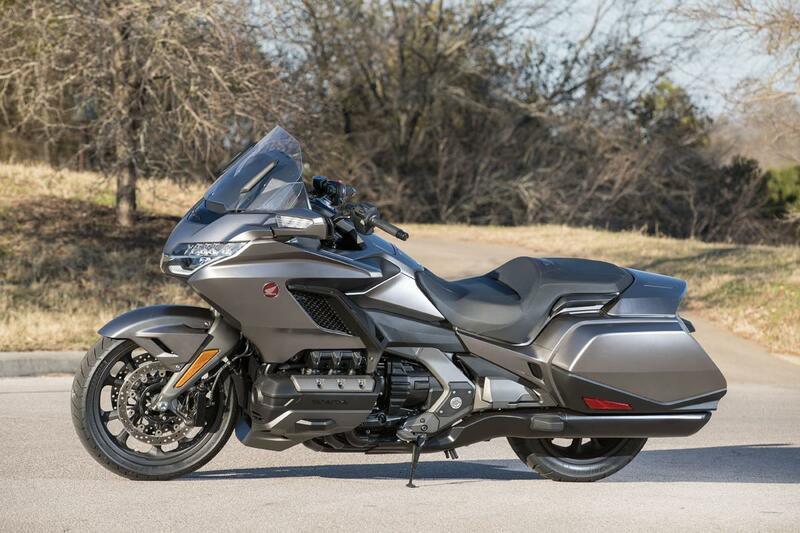 If cost is a consideration for you, however, in April 2019 Honda announced a stripped-back version that'll hit dealers costing £5000 less than the regular Gold Wing. The chassis is completely new, too. The twin-spar frame is 2kg lighter and for the first time in Honda’s history features a double-wishbone front suspension unit. The front is controlled by a single shock, rather than conventional forks. There’s a conventional Showa single shock on the rear, both are controlled electronically but are not semi-active. Through the bends the new Honda shone and showed how poor the old bike was by modern standards. 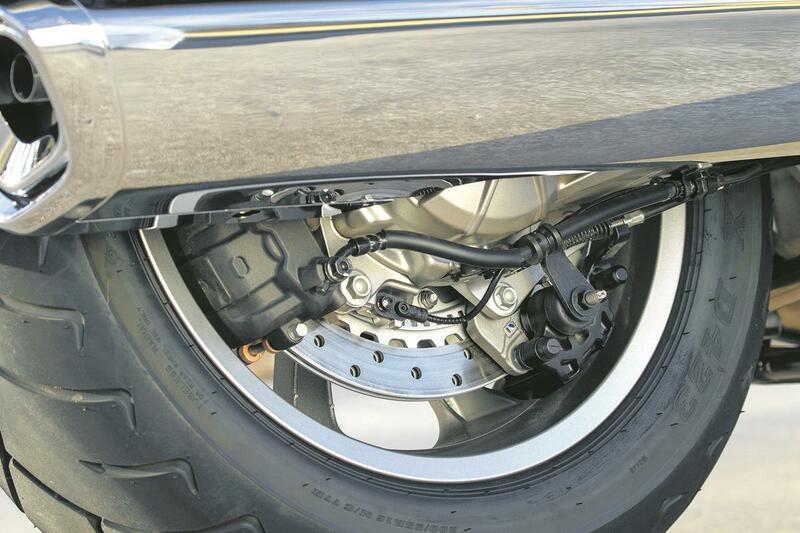 The new six-piston linked brakes are eye-poppingly strong. Considering they’re stopping 378kg, they’re really impressive, the big Wing remains stable and the ABS isn’t too intrusive. Some might not like the linked brakes are very effective on the big Wing. Once away from the motorway the difference between the modes are more noticeable. There’s less sag and wallowing in the Sports mode. 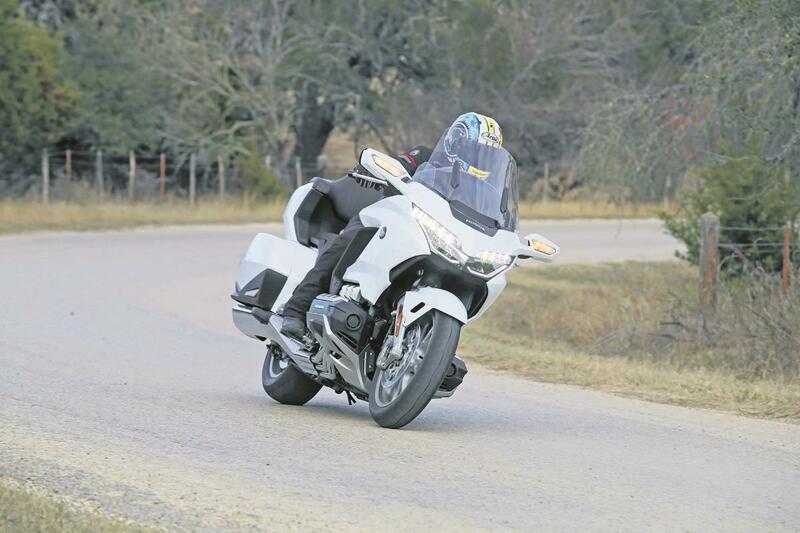 Even in the soft Touring mode the handling is impressive and far superior to the old model. The big Wing has lost a huge amount of weight and is now a bike again. The old bike was a comfortable method of getting from A to B, but now it’s actually a fun bike, which can be used and enjoyed. Capacity has remained the same at 1833cc, but that is where the similarities end – it’s a completely new bike. There hasn’t been a huge hike in power, which some had expected. Instead it’s more compact, lighter and smoother than ever. In total 48kg has been saved from the bike and the engine alone is 6.2kg lighter. Just removing the old starter motor in favour of an Integrated Starter Generator system (ISG) saved 2.4kg. The new engine is available as either a conventional 6-speed manual or 7-speed DCT (Dual Clutch Transmission), which automatically changes gear or gives you the option to change gear electronically without a clutch. This is Honda’s flagship model and quality is impressive. 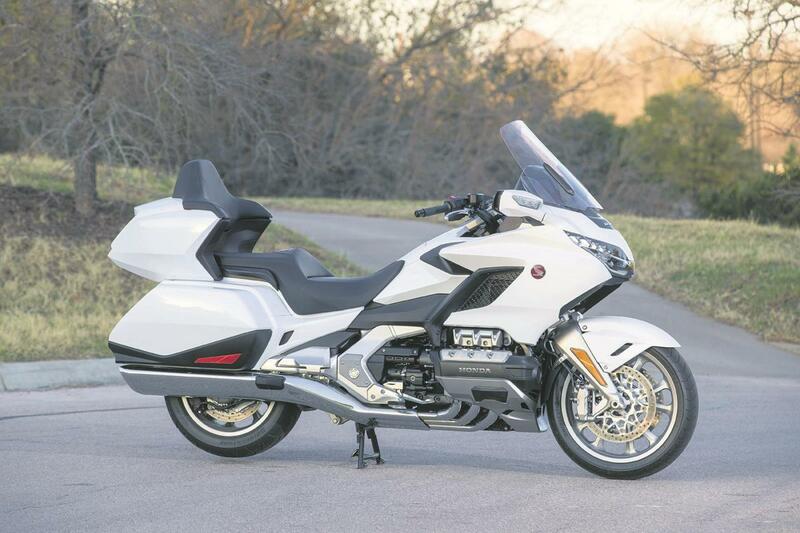 The Gold Wing’s reliability is legendary, the motor is unstressed and should be capable of huge mileage. There is no hiding the fact the new Wing is expensive, at just shy of £30,000 it’s considerably more than its closest competition. Even if you tick every accessory possible BMW’s six-cylinder K1600GT still comes in at under £25,000 and has more top-end power. It’ll be interesting to see how it compares when we run them back-to-back. Where do we start, the list is huge. One of the criticisms of DCT is the lack of rider control at slow speeds, due to the lack of clutch. However, Honda have created a smart solution with a new ‘Walking mode’ that limits speeds to 1.1mph at the touch of a button. As with the old Wing, reverse comes as standard, and is easily controlled by the plus and minus buttons on the left bar. The large screen is finally electronically adjustable, which previous Wing owners were praying for. 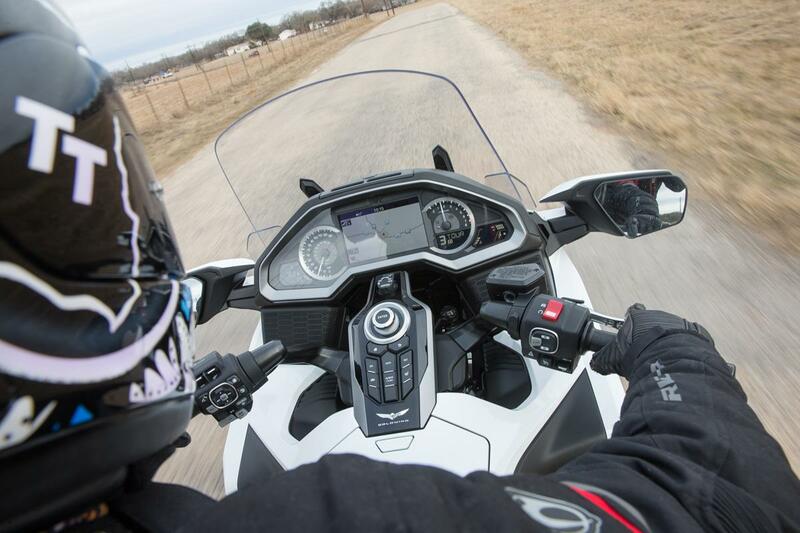 There’s also the option of increasing the airflow to the rider and pillion by manually opening a small flap below the screen. The bodywork and luggage are all new. Each pannier carries 30 litres of kit whereas the rear top case holds 50 litres. 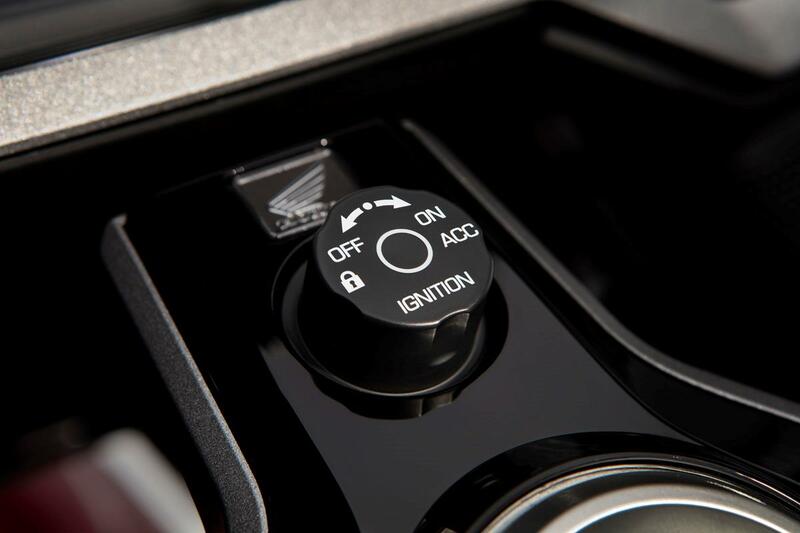 All the compartments can be locked via the keyless ignition and feature hydraulic dampers, which allow them to open and close with smooth, effortless ease. There are two further compartments up front; one centrally located, and the other on the right side. 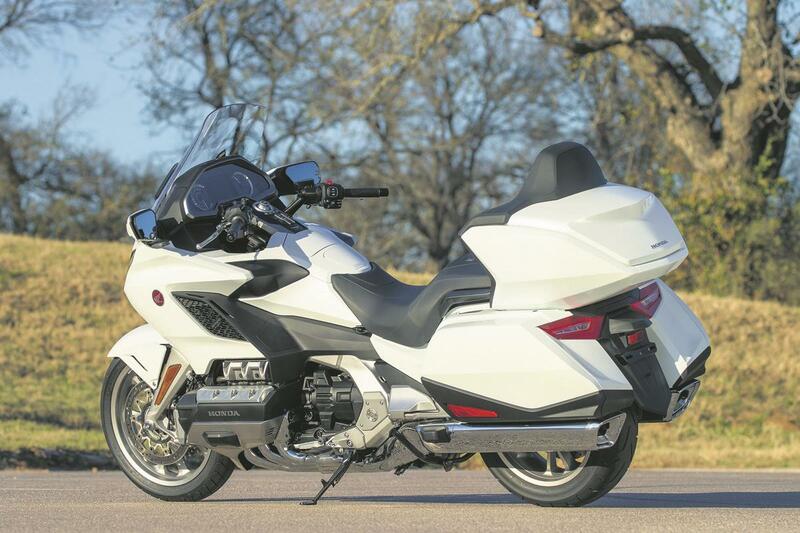 The old model’s rear pillion compartments don’t feature. 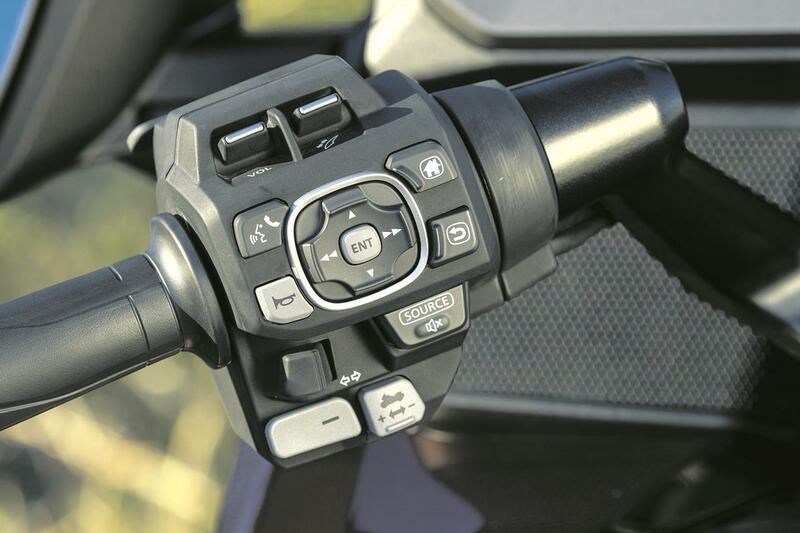 The cruise control via the fly-by-wire throttle can be set and adjusted on the move. Simply set your speed, adjust the screen to your required height, sit back in comfort and listen to your tunes via the four speakers. The clarity is impressive and you don’t need to have the volume cranked to the maximum at speed. The small compartment located just below the fuel cap is the perfect size for an iPhone or iPod, and comes with a USB connection. 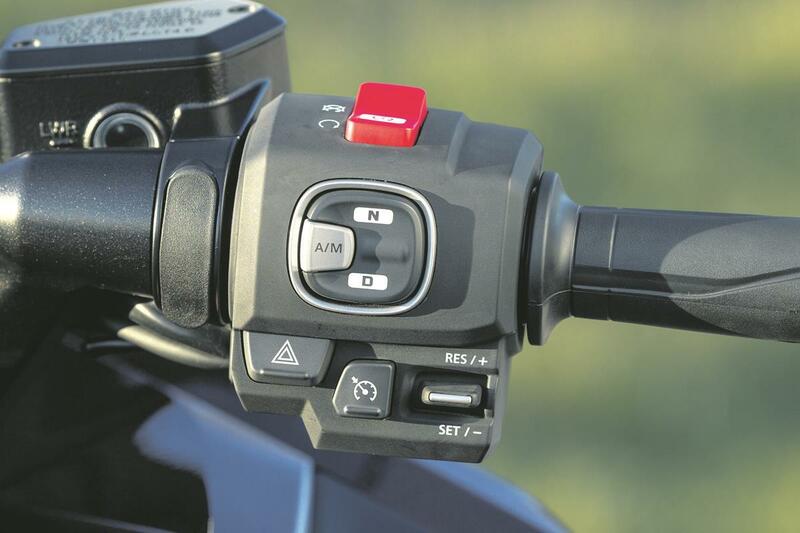 The changeable rider modes are easy to select, and change the suspension, engine characteristics and rider aids. The changeable modes dramatically change the DCT. For example, in Sports mode the gears are held for longer and the system quickly and automatically cogs down a few gears if rapid acceleration is required. It’s the opposite in the Economical mode, it short-shifts to top gear and almost refuses to knock back a gear during aggressive throttle openings. Apple Car Play is available for the first time, sat-nav comes as standard as does a heated seat and grips, even the pillion gets a heated seat. None DCT model is available. 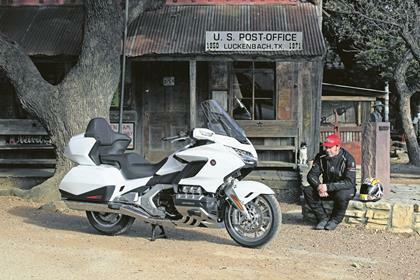 No owners have yet reviewed the HONDA GL1800 GOLDWING (2018-on).